In this Policy, “we” or “us” refers to Sport Industry Awards Limited being a limited liability partnership registered in England and Wales with registration number 4236764 and whose registered office is at First Floor, Flitcroft House, 114-116 Charing Cross Road, London, WC2H 0JR. We are a controller for the purposes of the data protection laws. This means that we are responsible for deciding how to hold and use personal data about you. Sport Industry Awards Ltd is required under data protection laws to notify you of the information contained in this Policy. the legal bases of the processing. Most commonly our legal basis will be either use of personal data where it is necessary (i) for our legitimate interests (or those of a third party) and your interests and fundamental rights do not override those interests ("legitimate interests"); or (ii) for us to perform a contract you have entered into ("necessary for a contact"). If we ask for your permission to use your personal data in a certain way, our legal basis is consent. We may process analytical data about your use of our website ("usage data"). The usage data may include your IP address, geographical location, browser type and version, operating system, referral source, length of visit, page views and website navigation paths. The source of the usage data is Google Analytics. This usage data may be processed for the purposes of analysing the use of the website and services. The basis for this processing is monitoring and improving our website and services (when in our legitimate interests). For certain events, we may process your account data, which is supplied by you. The account data may include personal data such as your name and email address. Account data may be processed for the purposes of operating our events, ensuring the security of our website and services, and communicating with you. The basis for this processing is consent [that its necessary so you can attend the event or use the service you've signed up for (i.e. it is necessary for a contract)] or event logistics, such as security for BT Sport Industry Awards admission (which is in our and your legitimate interests). We may process your personal data provided in the course of the use of our services. 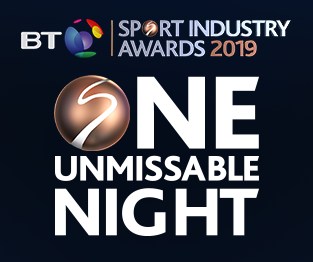 For attendees of the BT Sport Industry Awards, this service data may include your name, job title, email address, postal address, phone number, and name and email of your table guests. The source of the service data is you or your employer for the purposes of operating the event, providing our services (which is necessary for a contract) and ensuring the security of our event (which is in our and your legitimate interests). For attendees of the Sport Industry Breakfast Club, Sport Industry Private Dining Club and Sport Industry NextGen Unlocked, this service data may include your name, job title, email address, postal address and phone number. The source of the service data is you or your employer for the purposes of operating the event (which is necessary for a contract), providing our services and ensuring the security of our event (which is in our and your legitimate interests). We may process information that you post for publication on our website or through our services (publication data). The publication data may be processed for the purposes of enabling such publication (which is necessary for a contract) and administering our website and services (which is in our legitimate interests). We may process information contained in any enquiry you submit to us regarding our services (enquiry data). The enquiry data may be processed for the purposes of answering your enquiry (which is in both of our legitimate interests). We may process information that you provide to us for the purpose of subscribing to our email newsletters (notification data), which can be submitted here. The notification data may be processed for the purposes of sending you the relevant notifications and/or newsletters (necessary for a contract between us). Note that where we rely on legitimate interests as a legal basis you may have a right to object to this in certain circumstances – you can find out more below. We may disclose data to our digital agency identified here, insofar as reasonably necessary for the security and processing of our online services. Personal data relating to Sport Industry Awards Limited events will be retained for a maximum period of three years. We will take reasonable steps to make you aware of any material changes to this Policy, but we also recommend you that you revisit this page from time to time to keep informed of our current privacy practices. In this Section 7, we have summarised the rights that you have under data protection law. Some of the rights are complex, and not all of the details have been included in our summaries. Accordingly, you should read the relevant laws and guidance from the regulatory authorities for a full explanation of these rights and can find out more information here. You have the right to object to our processing of your personal data on grounds relating to your particular situation, but only to the extent that the legal basis for the processing is that the processing is necessary for the purposes of the legitimate interests pursued by us or by a third party. If you make such an objection, we will cease to process the personal information unless we can demonstrate compelling legitimate grounds for the processing which override your interests, rights and freedoms, or the processing is for the establishment, exercise or defence of legal claims. You have the right to object to our processing of your personal data for direct marketing purposes (including profiling for direct marketing purposes). If you make such an objection, we will cease to process your personal data for this purpose. You'll be able to opt-out from emails we send you by clicking on the unsubscribe link at the bottom of those emails. You may exercise any of your rights in relation to your personal data by emailing [email protected], in addition to the other methods specified in this Section 7.